I’ve made it to Phnom Penh – more on the journey later. We’ve jagged a remarkable apartment on the banks of the Tonle Sap about a few hundred metres from where it joins the Mekong River. The Western side of the river is known as Sisowath Quay and it is one of the places to visit in Phnom Penh. 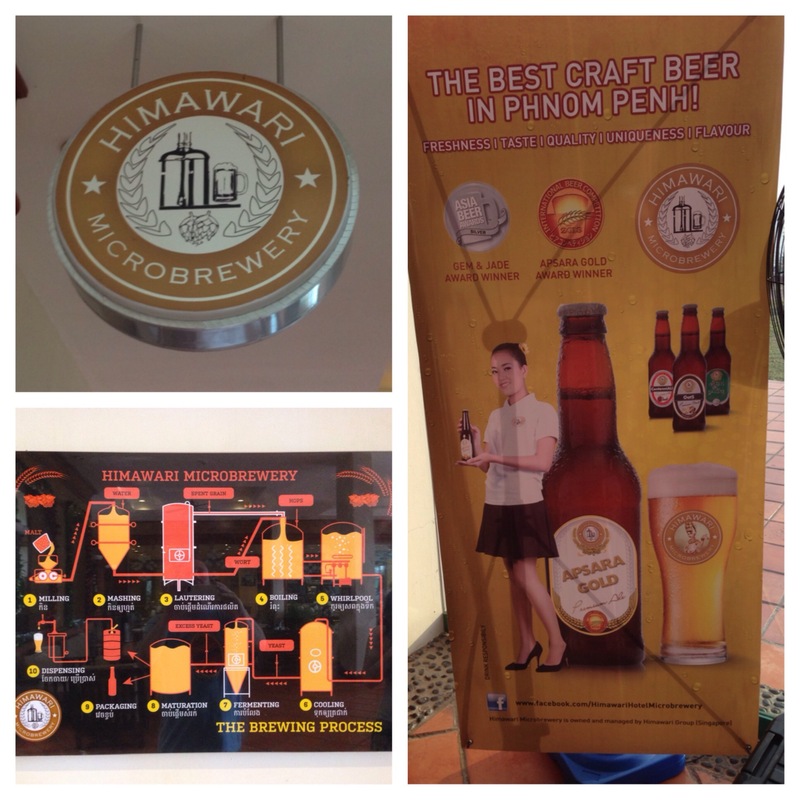 Many months after I booked our apartment, I discovered to my surprise (and to Mrs Bladdamasta’s disbelief) that one Cambodia’s few microbreweries is about 1km down the road. 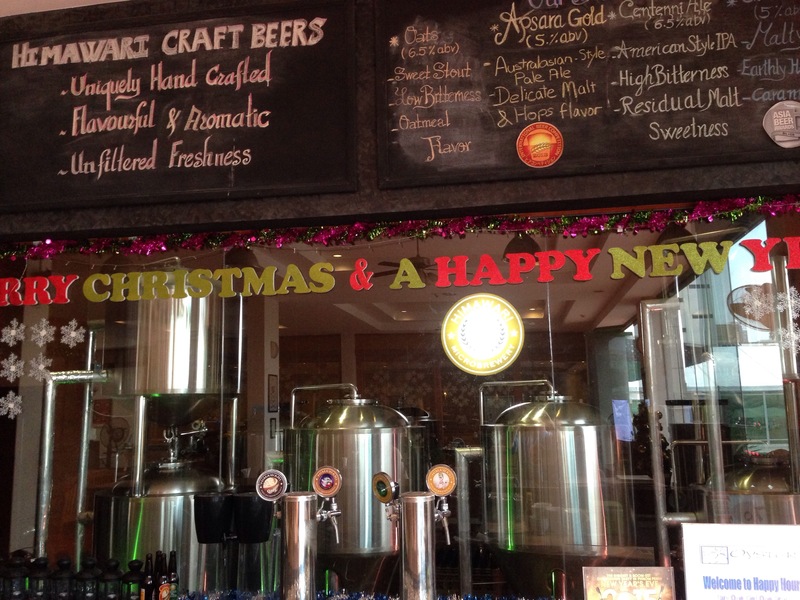 The Himawari Microbrewery is on the ground floor of the massive Himawari Hotel complex. 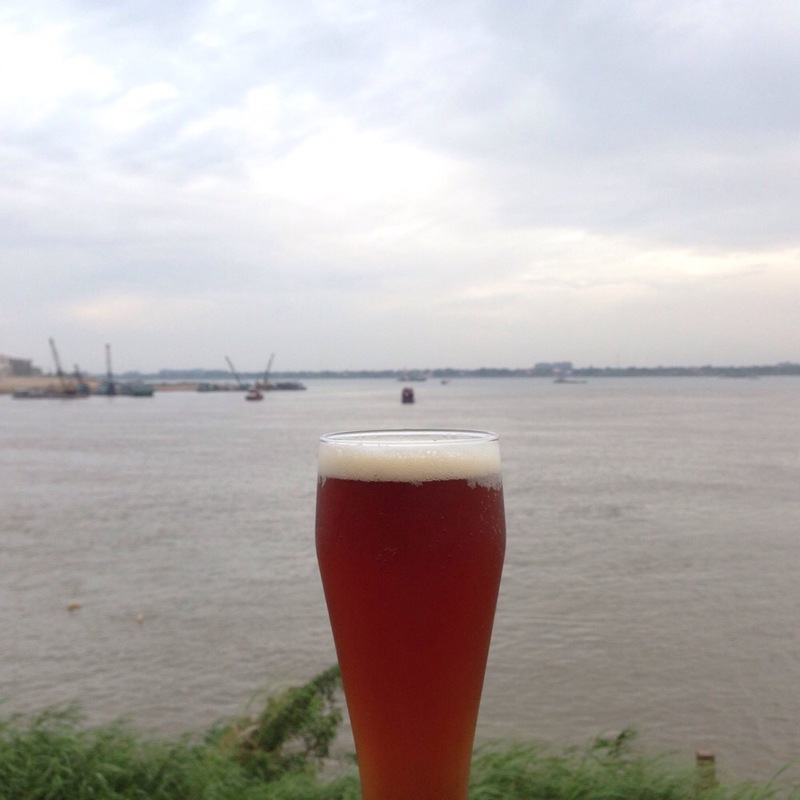 This hotel sits on the corner of the two great rivers and is a great place to sip away on Cambodian craft beer. There’s four taps sitting in front of a compact set of brewing vats. Four brews were on offer. Aspara Gold, named for a female spirit of clouds and waters in Hindu and Buddhist, is a smashable lager. Gem & Jade is caramel malt bomb. Oats is a really good “sweet stout”, which holds its 6.5% ABV really well. Lovely burnt flavours are reminiscent of a good Aussie Stout. Centenni Ale is a very piney IPA, which packs quite a punch. 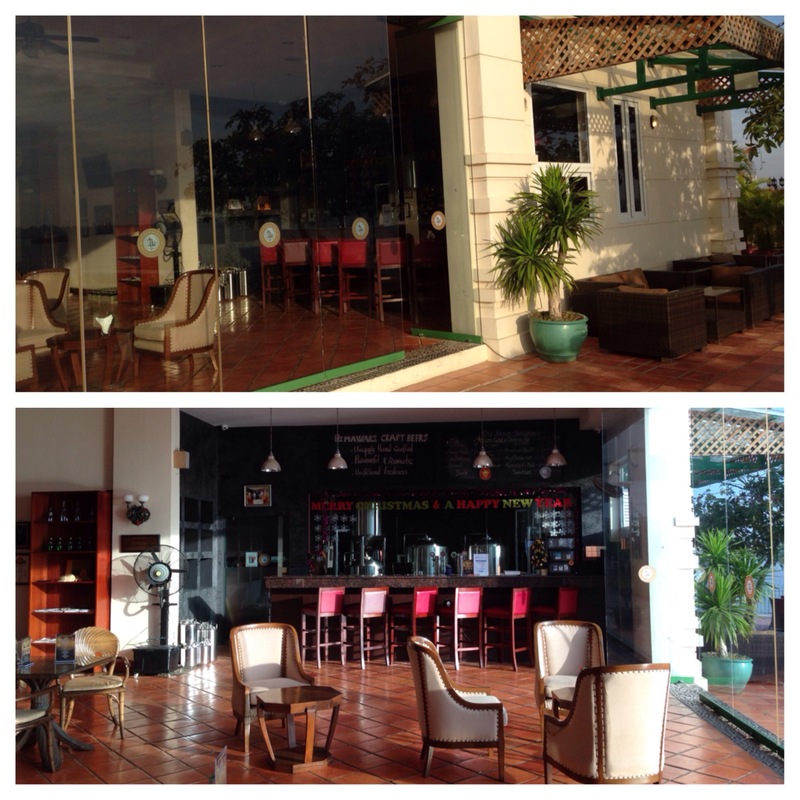 I could have stayed on this forever – but Phnom Penh beckoned. The Himawari also does takeaway with very nicely labelled bottles with great lids (a penchant of this correspondent. So, when in Phnom Penh, you’ve got to give Himawari a go.